She was a starlet at twenty-two, the president's mistress at twenty-four, First Lady at twenty-seven, and dead at age thirty-three. Driven by ambition and blessed with charisma, Eva Peron was a saint to the working-class yet reviled by the aristocracy and mistrusted by the military. She was destined to leave a beguiling political legacy unique in the 20th century. Argentina's controversial First Lady is the subject of this dynamic Tony Award winning musical masterpiece by Andrew Lloyd Webber and Tim Rice. 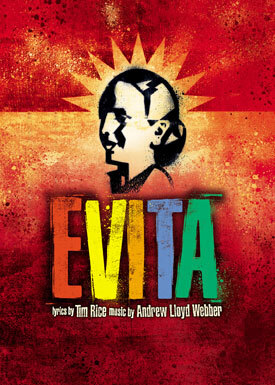 Told through a compelling musical score with exuberant Latin, pop and jazz influences, EVITA creates a fascinating theatrical portrait as complex as the woman herself. NOTE: Saturday, April 28 performance will be ASL interpreted. Interested ticket buyers need to contact the box office by phone to request locations in the appropriate seating area. Box office number is 714-895-8150.